Yea! We live in a free country! But even better news is that according to God’s Word we are FREE in CHRIST! Using Galatians 5:1 we want to teach our kids that they are FREE…from sin, from shame, guilt and even death. 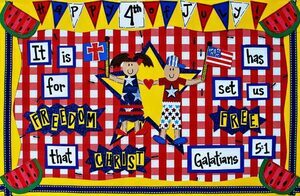 Even better than fireworks and watermelon is the promise that we have complete freedom in Christ! 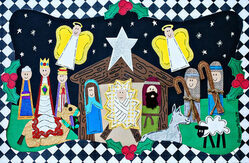 Help your kids remember the true meaning of CHRISTmas with our colorful Nativity Scene placemat. Kids of all ages will enjoy re-telling the Christmas Story while pointing at each of the characters and animals. Great, inexpensive gifts at Christmas time! 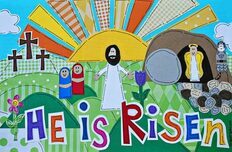 This fun mat is a great one to incorporate into your family’s Easter celebration and traditions. The picture of Jesus standing tall with his nail scarred hands is a great reminder that he is indeed ALIVE! Other elements on the mat (the 3 crosses, the guard and the empty tomb) also spur on discussion about what really happened and bring the Easter Story to life! What better way to start your birthday boy or girl’s day than breakfast on their Happy Birthday Placemat! God has made each of our children unique and birthdays are a great day to celebrate that fact! 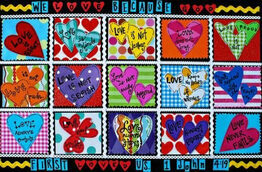 Adorned with a verse from Psalm 139, our fun, colorful birthday mat will make your child feel special and celebrated. 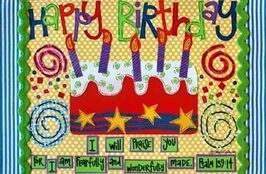 The card that comes with the mat has some great ideas to enhance any birthday celebration. And of course, this placemat is the perfect birthday gift! Let’s not forget BEING THANKFUL for all of the blessings God has given us. 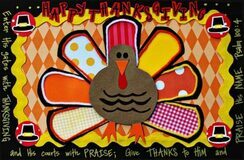 This colorful turkey placemat will be a great new tradition for your family to incorporate into the month of November. Your kids will enjoy using dry erase markers to write down what they are thankful for on each of the turkey feathers. Gobble, gobble!